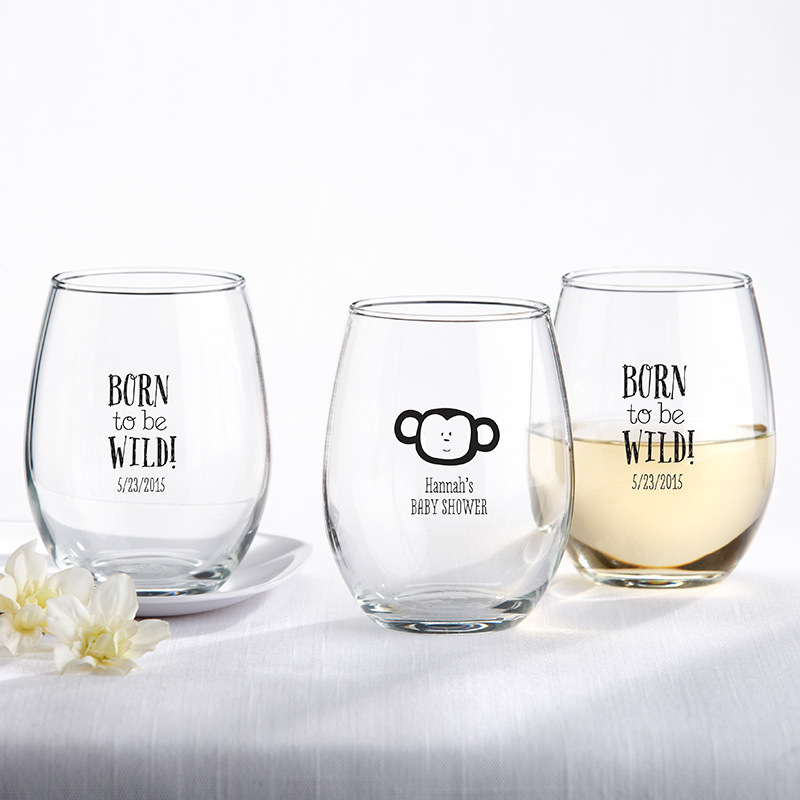 Take a step on the wild side! 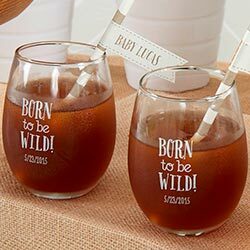 With a safari themed baby shower for your little one. Born to be Wild stemless wine glasses by Kate Aspen fit the bill perfectly while blending in with the jungle inspired decor. 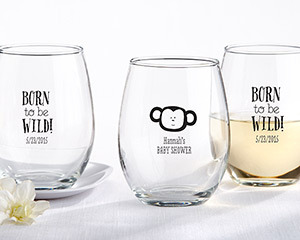 Choose among two safari-inspired designs, and personalize them to the mom to be and new baby!